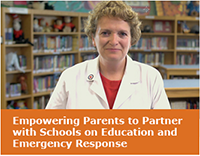 In Episode 2, Dr, John Lee, director of the Food Allergy Treatment and Support program at Boston Children's Hospital, discusses the important role that all parents have in ensuring that schools are aware, prepared and ready to respond to anaphylaxis. 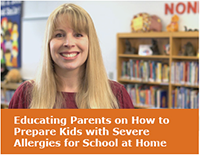 You may not know someone with severe allergies, but chances are your kids do. In this video, Dr. Lee shares several known causes of anaphylaxis, and how to identify its signs and symptoms.